Currently 4th on the all-time playoff goals list, Brett Hull first tied his famous father Bobby at the 15th spot in 1996, scoring his 62nd marker in Game #1 of the 1996 Western Conference Semifinals vs Detroit. 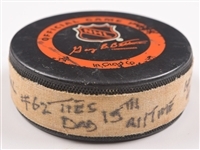 We have the very puck Brett used to tie his father, with this official InGlasCo gamer featuring tape wrapped around the side listing the particulars, including “Playoff Goal #62 Ties Dad 15th All Time Game #1 Det ‘96”. A signed LOA from Brett Hull will accompany. 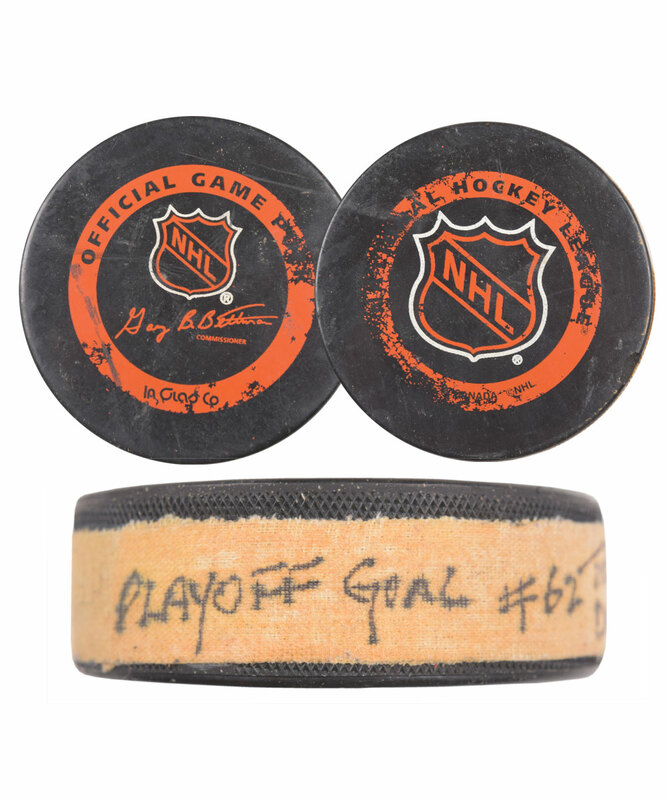 The InGlasCo logos over each side show heavy wear, with some darkening/yellowing to the affixed tape. There is also a small gouge along an edge. 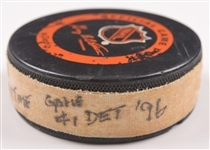 Finishing his HOF career with 103 playoff goals in 202 playoff games, only Wayne Gretzky, Mark Messier and Jari Kurri have scored more.